Trees may need to be removed for a variety of reason.These could include making way for extensions on homes and buildings, new property construction, dead/unsightly/rotting trees, permanent structural integrity damage, rain/lighting storm damage, and obstruction of views or entrances. Mt. 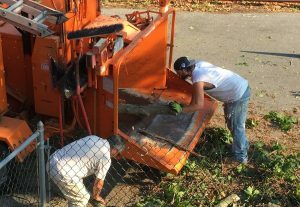 Vernon Tree Pruning and Removal Corp. is fully licensed and insured and has all the necessary equipment to provide prompt tree removals both large and small!